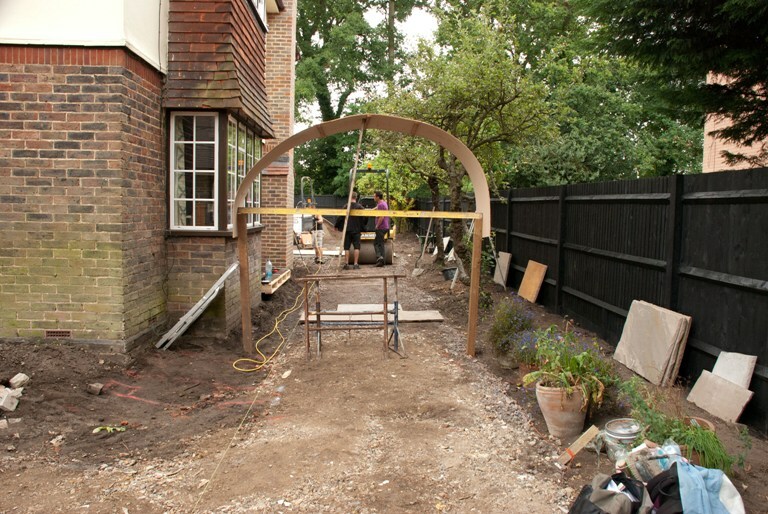 It has been 4 weeks since the build commenced at the project near Woking and on Friday I made a visit to site so that we could sign off the final setting out of the front garden and also to check the scale of the large archway at the side of the house. 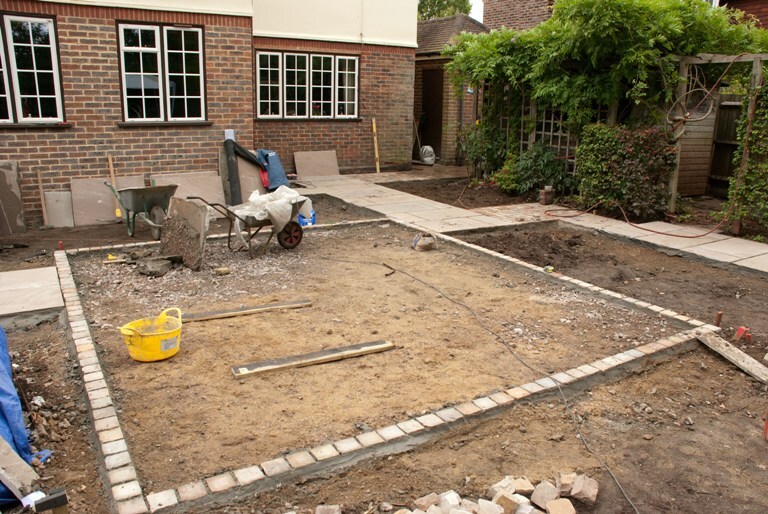 The paving in the back garden is well under way and you can now get a much better feel for the emerging garden. The team were planning to work on Saturday to install the lawn edging and to spread the topsoil for the lawn. I suspect as I write that the back garden is now looking much more like a garden than a building site now. 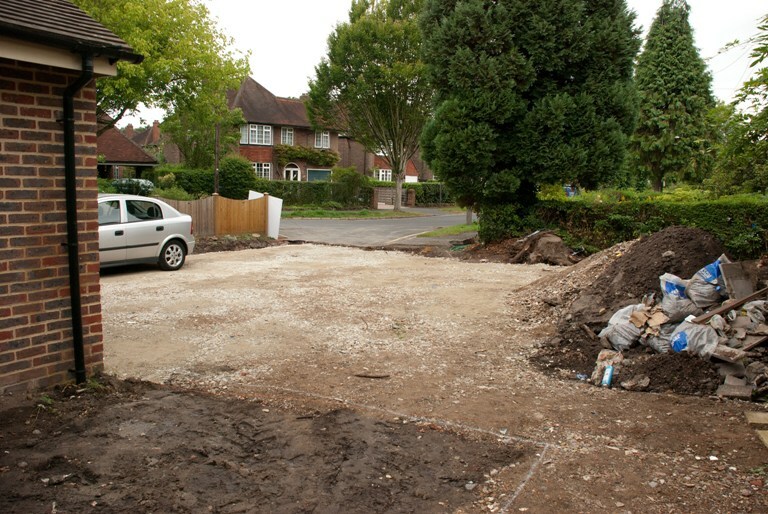 The sub-base for the new driveway is now in place and once the paving has been finished around the side of the house, the front garden will begin to take shape. The makeshift archway at the side of the house was put up so that we could check the scale and proportion of the timber arch. 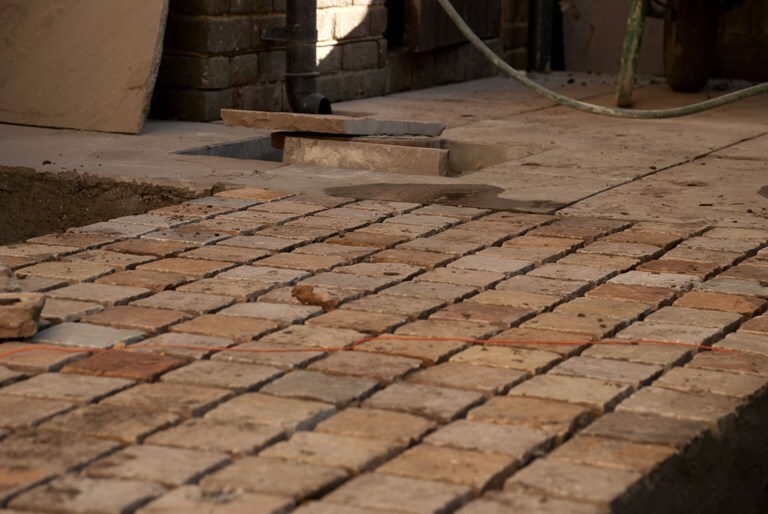 Because it’s a large structure, and the only 3-dimensional constructed element in the garden, it is especially important to ensure that it feels right. From this point forward, the garden will really start to come together. Soon the machinery will be removed from site and the messy part of the construction phase will be over. By the time I make my next visit to site, I am sure that progress will be quite dramatic.